Here are some tips to help you get most out of your 2015 Timpanogos Storytelling Festival experience. Take a look at the program, website and blog to find out more information about the tellers and to plan your schedule for the weekend. Attend one of our FREE pre-festival concerts to get a preview of our amazing lineup of talented tellers and to introduce your family and friends to see what the festival has to offer. 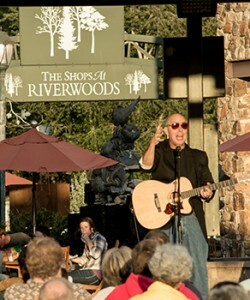 Antonio Sac re & Tim Lowry present a Night of Stories at the Viridian Event Center on August 31, and Bill Harley and Sam Payne will be performing at Timpanogos Storytelling Festival Kickoff at The Shops at Riverwoods on September 2. Take a look at our amazing lineup of classes at the Timpanogos Storytelling Conference on Wednesday and Thursday, September 2-3. Check out Look Who’s Talking on Thursday night to get a preview of the storytellers and find a new favorite or two. Parents- The festival is aimed at adults, teens and older children. Younger children will enjoy Bedtime Stories and events in the puppet area. Toddlers and babies in arms are not allowed in the performance tents, so please make the proper arrangements. If you have ever wanted to try your hand at storytelling in front of an appreciative audience then you should go to the Adult Swappin’ Grounds or Youth Swappin’ Grounds during the lunch break on Friday and Saturday. Be a judge and find great new tellers at the Timp Tell Contest on Friday afternoon in the Canyon Vista tent. Win free great prizes through our social media contest on Facebook, Twitter and Instagram contest. Do you love live music? 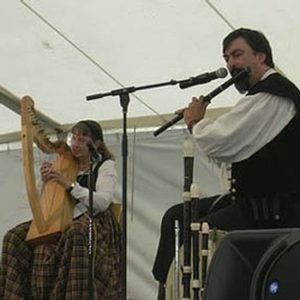 Stop in at the music tent between sessions to listen to an incredible variety of musical talent. If you love jazz, bluegrass, celtic, polka, folk, classic country, or rock’n’roll, you will find it here. Parking is limited at Mt. Timpanogos Park, so use one of the designated church parking lots. The shuttle service is fast and efficient and you get dropped off right at the entrance. Performers feed off the energy of an audience, so relax and feel free to laugh out loud, sigh, gasp, cry, clap, and participate. After all, this is not a golf match. We’re always looking for volunteers before, during and after the festival. Timpanogos Storytelling Institute has a year-round program and there are many ways you can get involved. If you have additional tips for festival-goers, please free to leave comments below. Shall I assume that seating is provided or not? We went to the free concert last night and had to sit on the ground as we hadn’t thought to bring folding chairs. Seating is provided at all venues. If you attend one of the evening events at the Scera Shell then you have the option to use the seating provided or to bring a blanket to sit on. Hi Utah Storytellers! I shall drive in from Riverside CA on Tuesday leaving at 7:15 or so. Are there youth teller events planned like last year?